So I know what your thinking. Duh! 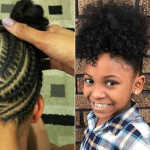 Of course a mother and daughter or a father and son will look like each other. But damn! 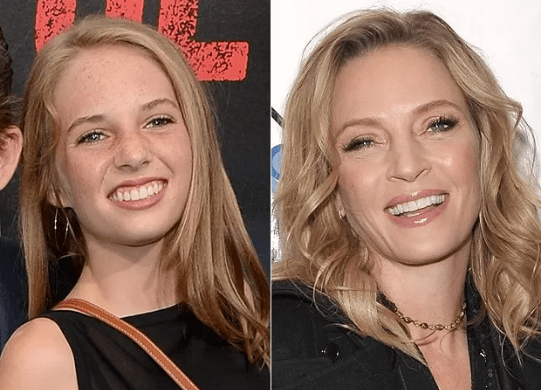 These famous celebrity children and their parents look so alike – it’s a little freaky! 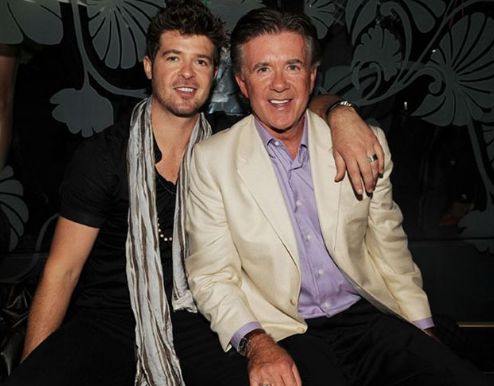 Singer Robin Thicke and actor Alan Thicke were the spitting image of each other. Sadly, Alan died at the age of 69 after suffering a heart attack last year. The absolutely stunning Kaia is following in her mother’s Cindy Crawford’s footsteps and is paving her way as a supermodel. Crawford’s look-alike daughter is the new face of Marc Jacobs’s Daisy perfume. In an interview to promote the perfume, Kaia opened up about the best advice her mother gave her about modeling. 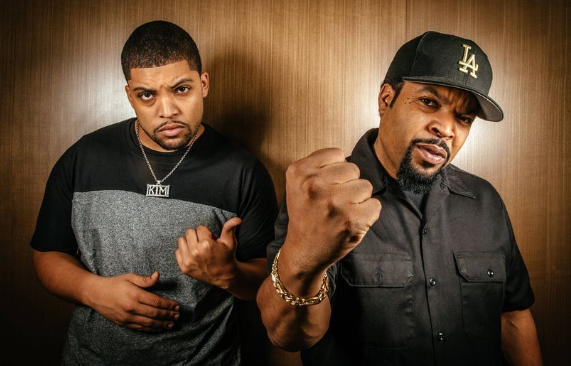 Not only do they look like twins, the younger Jackson can rap just as well as his legendary father and won rave reviews for his portrayal. Actress Kyra Sedgwick and her daughter Sosie Bacon have the same enchanting eyes and wide smiles. Kyra has been to married to actor Kevin Bacon for 25 years. It’s clear to see that Sosie has been blessed with features from both of her superstar parents. 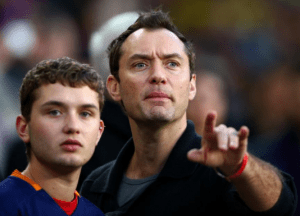 Actor Jude Law and his son, Rafferty both have the same intense blue eyes and curly brown hair. So it’s no wonder that Rafferty has already signed to a top modeling agency and has walked the runway for Tommy Hilfiger and HUGO. 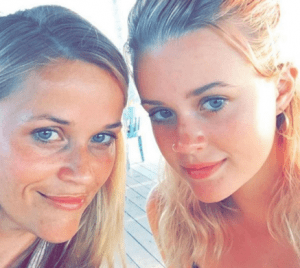 Reese Witherspoon and her daughter Ava’s eerily similar looks went viral, after the Oscar winner posted this rare picture to her Instagram page. Dhani Harrison, is the son of the legendary, late Beatles singer George Harrison. The resemblance is truly remarkable – with the same boyish haircut, long nose and wide eyes. Dhani is a singer in his own right, having debuted as a musician on his father’s final album, Brainwashed. Harrison went on to win Best Pop Instrumental Performance for the track, “Marwa Blues”, at the 2004 Grammy Awards. 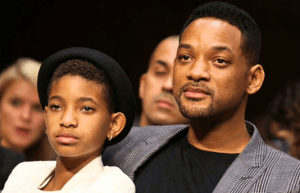 Willow and Will truly look like twins (I’d say more so than Will and son Jaden) they have the same nose, mouth and even the same wide ears! Willow is a style icon and is known for her outlandish style. Willow says her “crazy” clothes and make-up are ways of expressing how she feels. 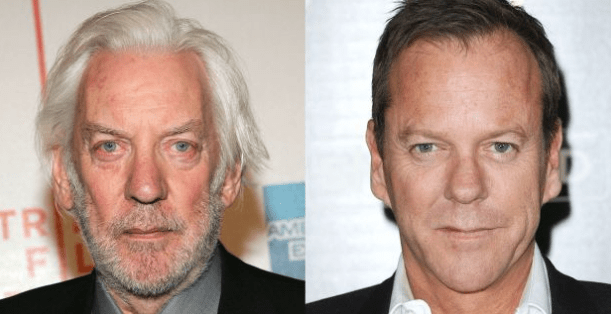 Kiefer Sutherland has a pretty accurate picture on how he’s going to age just by looking at his legendary father, Donald. The father son duo have worked together as father and son in the 2015 film “Forsaken” – well you can’t get better casting than that! Susan Sarandon has been acting forever and never seems to age. It’s hard to imagine that Sarandon has a 32-year-old daughter. Matilda Ledger is the much loved daughter of actress Michelle Williams and the late actor Heath Ledger. Ledger died before the completion of his last film, “The Dark Knight,” in 2008. Matilda, was three years old when her father died. 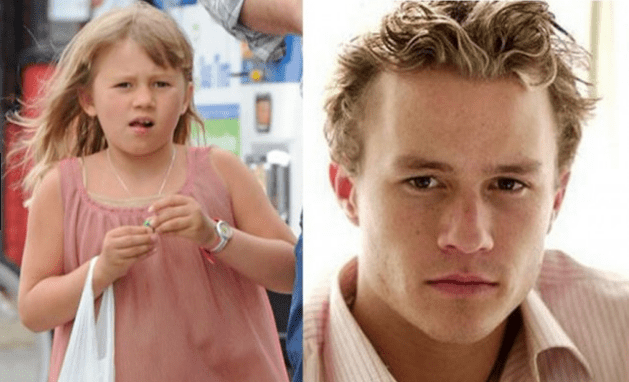 Ledger certainly lives on through Matilda who looks just like her late father. When it comes to Hollywood royalty it doesn’t get much bigger that three-time Oscar winner Meryl Streep. 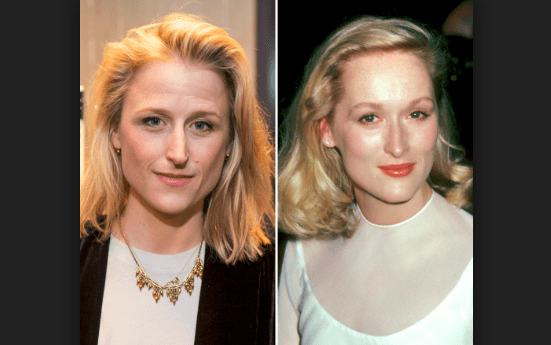 The talented actress has practically created her clone in her daughter Mamie. Mamie has also decided to go down the acting path and was nominated for the 2016 Drama Desk Award for Outstanding Actress in a Play for Ugly Lies the Bone. Clint Eastwood was a pin up back in the day after he appeared in a number of westerns. 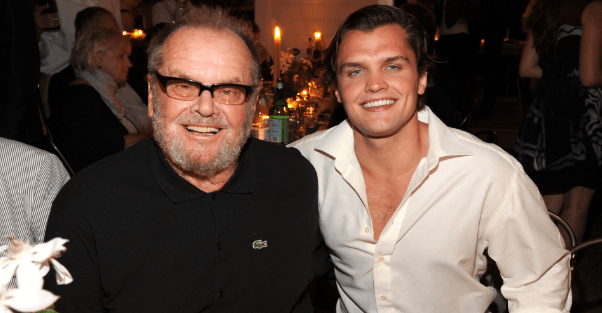 His son Scott is a total hottie and looks just like his father back in the day. He has appeared in his father’s films like “Flags of Our Fathers” and also works as a model and professional skydiver. Kill Bill actress Uma Thurman’s daughter just launched her fashion model career last year at the age of 18. She is a perfect mix of her father Ethan Hawke and her mother’s modelesque features. 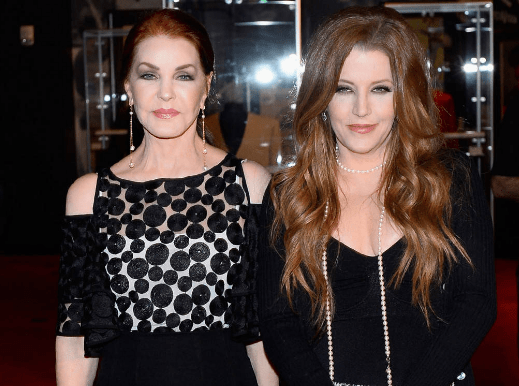 Lisa Marie and Priscilla Presley apart couldn’t look anymore like each other! Mother and daughter not only look like one another, both have had their share of short-lived romances. Donna Karan is one of of the most influential names in the fashion industry. But if we mixed up the images of Donna and daughter Gaby, it might take you a minute to know which one is which! Get a load of Ray Nicholson! He is literally the younger version of his superstar dad. The pair are super close too. If you Google search the father and son, you’ll find lots of pictures of the two taking in basketball games together over the years. 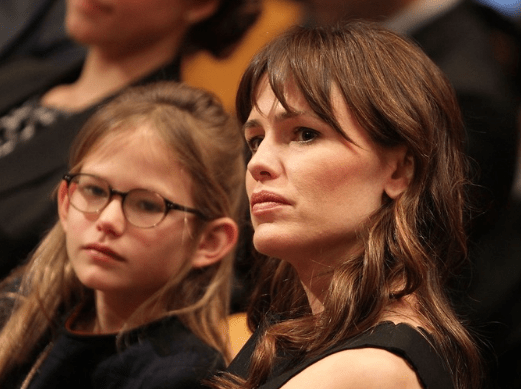 Jennifer Garner and her oldest daughter Violet have basically exactly the same thinking face. Violet’s dad is the actor Ben Affleck and if you squint you’ll see a tiny bit of him in little Violet too. 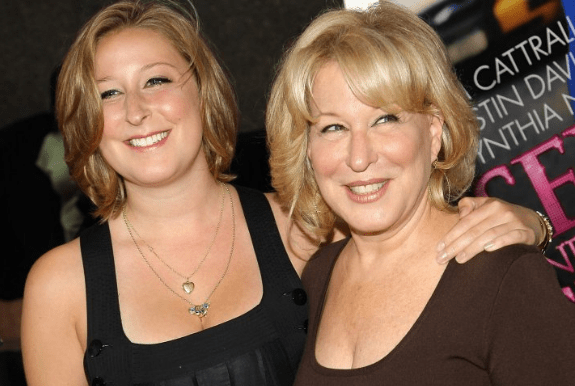 Look at legendary singer/actress Bette Midler and her daughter Sophie! Same nose, same eyes, same smile – wow! Midler and Sophie’s father, Martin von Haselberg have been married since 1984 and get hitched six weeks after meeting? 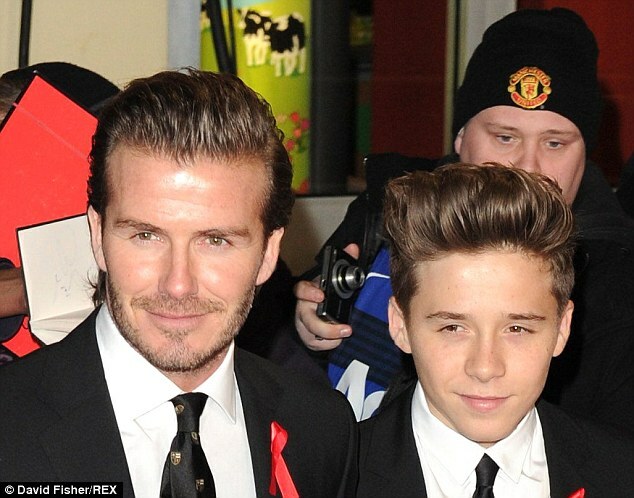 Doesn’t Brooklyn Beckham literally look like David Beckham’s mini – me? The young Beckham is now off to university to study photography and has shot for Burberry. Which team of parent/child look mostly the same in your opinion? Next article Remember The Nigerian ‘Witch’ Boy Who Was Left To Starve To Death? Wait Till You See Him Now! 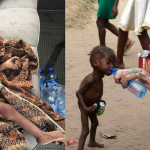 Remember The Nigerian ‘Witch’ Boy Who Was Left To Starve To Death? Wait Till You See Him Now!